ecrandal: BOX OF CRAYONS! By Alyse of BE SWEET TREATS! BOX OF CRAYONS! By Alyse of BE SWEET TREATS! Reminder to get your decorated cookies submitted to me before the end of this month to be entered into our $50.00 free cutter drawing!!! Also if you have joined our blog in OCT-NOV, please let me know so that I can put you into our $25.00 drawing!! I will try to come up with a list for all of you to see, to make sure I have everyone! 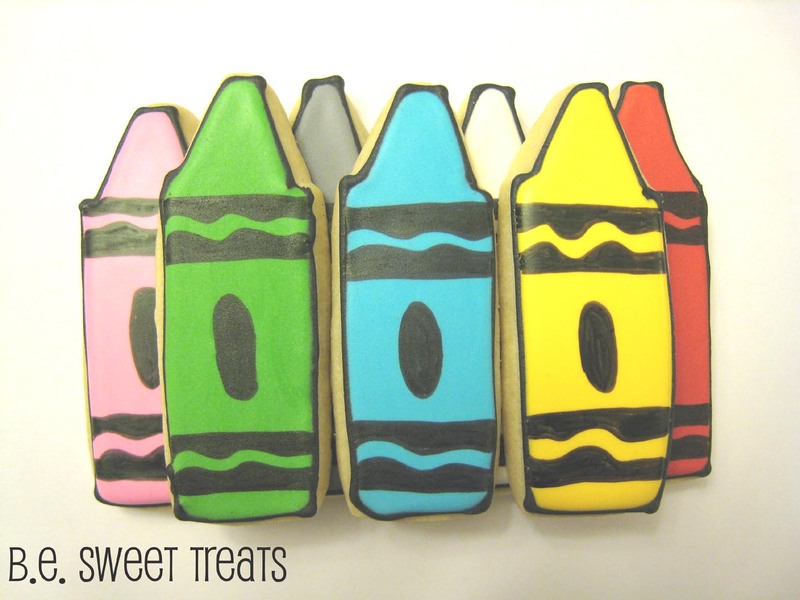 Alyse used our crayon cookie cutter to make these edible crayolas...perfect for toddlers who are always trying to eat the real ones! Thank you Alyse for sharing! Fun!! Thanks for sharing my photo! You're welcome! Thanks for allowing us to show your art!